Are you doubtful that you will be able to handle the auto insurance companies with success? Are you concerned about how you will be able to support your family during your recovery from the automobile accident? Are you seriously injured because of a vehicle accident that was the fault of another driver or road condition? Are you wondering how you are going to be able to pay your medical bills and other related expenses? The San Diego vehicle accident injury lawyers of DiMarco | Araujo | Montevideo will help you every step of the way throughout the auto injury claim process. We will also look into all other possible causes of the accident including investigating for third parties who may have contributed to the accident. We will work to get you the maximum compensation available under the law. We want you to be able to reduce your worrying and stress and begin healing properly, so please call us any time of the day or night at (619) 946-6466 to schedule your free initial consultation. The San Diego work injury attorneys at DiMarco | Araujo | Montevideo have dedicated their careers to helping people and allowing clients to focus on the most important task: healing and recovering. We have experience successfully handling car and transportation related insurance claims and legal cases. We will be with you throughout the daunting task of filing an auto insurance claim. Sometimes, one of the more important services we do for our clients is work with the insurance companies. Our experience with these companies allows us to stay current on the techniques the insurance companies use to influence a victim into settling too quickly and receiving far less compensation than they are rightfully due. Let us protect you and your rights. Drowsiness due to lack of sleep or medications. The San Diego personal and work injury lawyers of DiMarco | Araujo | Montevideo know that the accident has caused a financial strain for you. We are ready to help you still have your day in court. Our goal is to help you receive maximum compensation for your medical expenses, loss of wages (including present and future wages), pain and suffering, injuries, and for any other related costs. We will not charge you any upfront fees throughout the legal process and we will only get paid if and when we win your case. We are in this together. All initial consultations and case evaluations are free as we want to give all of our potential clients the time and place to get your questions and concerns answered. You will meet with an attorney who has experience in your type of injury case and can professionally discuss your options and the merits of your case. 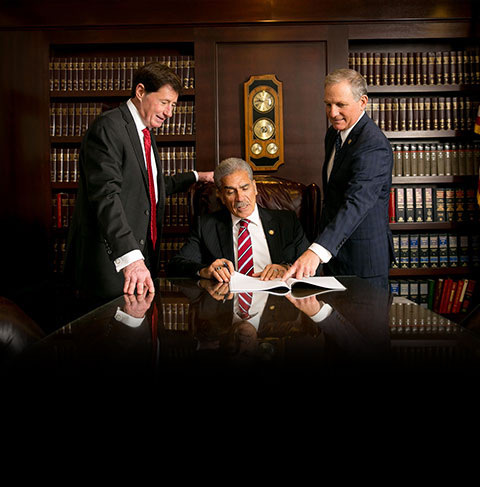 You will not incur any legal fees or costs for our time and assistance unless we do our job and win your case. San Diego work injury lawyers at DiMarco | Araujo | Montevideo can meet with you at our office, your house or your hospital room during Monday through Friday 8:30am to 5:30pm. We are available to meet all other times, including evenings, Saturday and Sunday (by appointment). If you cannot come to our office we will come to you. You can call us 24 hours a day at (619) 946-6466.